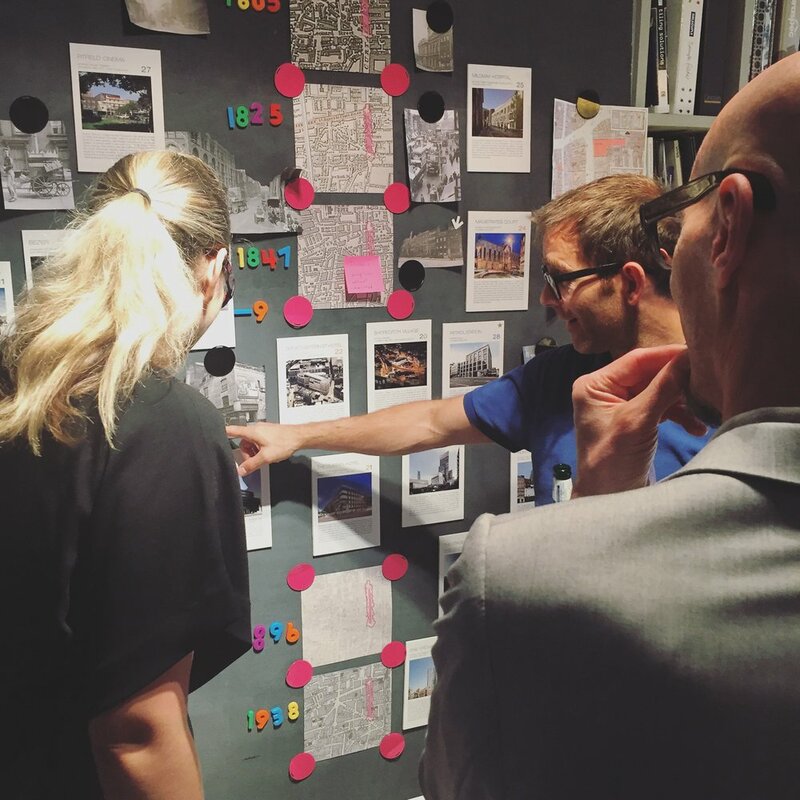 We took part in London Festival of Architecture's East London Open Studios again this year, it's a great opportunity to get involved with the local community and meet local practices. 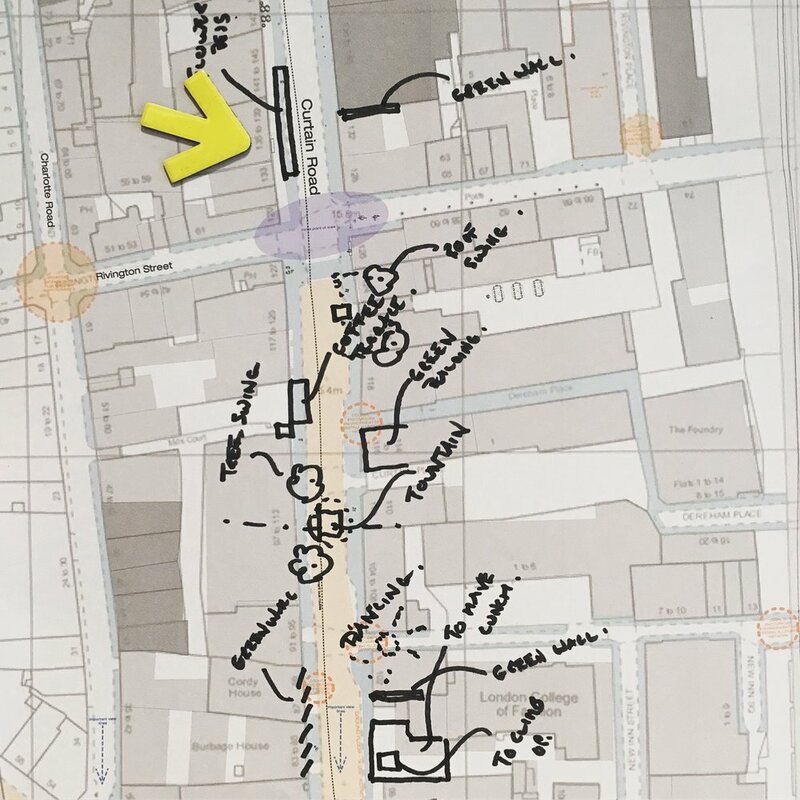 This year's theme was "memory" so we spent time researching the history of Shoreditch to see how we could in improve the area for the future, focusing on a new streetscape for Curtain Road inspired by Shoreditch's history and as a reaction to Shoreditch's new role as a tourist destination. 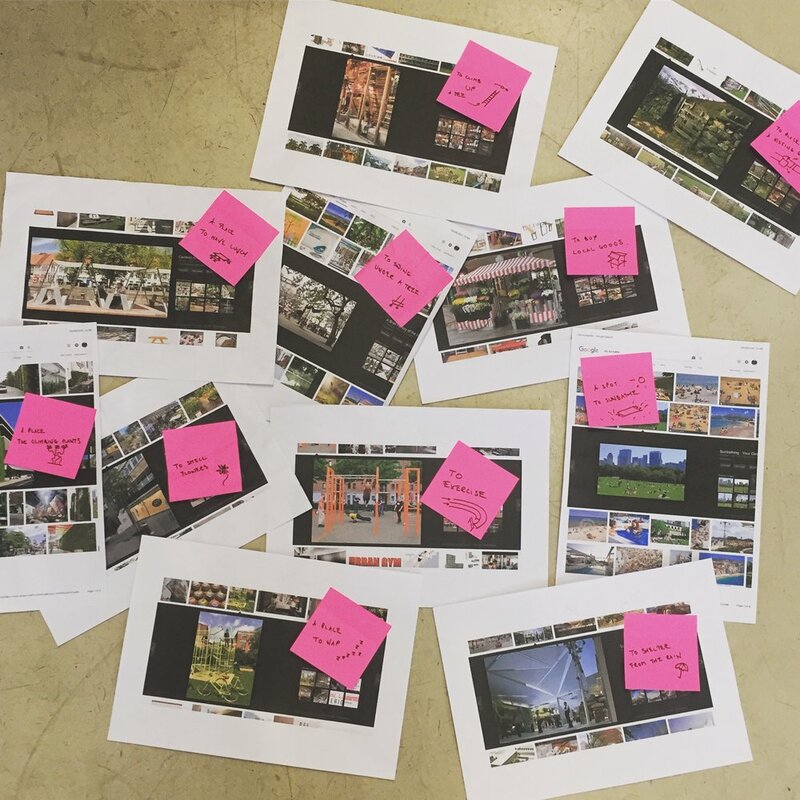 In the weeks before our open studio we brainstormed ideas as a team for the proposal, creating a collage of ideas from our findings and updating our model. 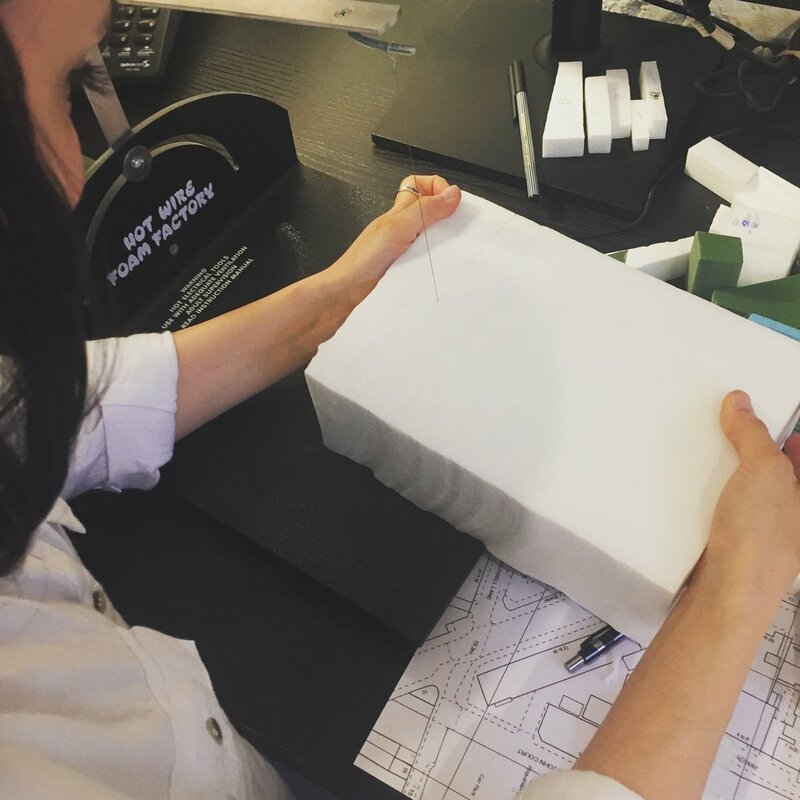 In previous years we have used our model to show the new developments taking place in the area, and asked what we could do in the spaces that the Developers left behind, prompting a dialogue on the expansion of the city. This year we added the Curtain Road proposals to the model giving visitors an opportunity to discuss how we can change the area for the better. Huge thanks to the London Festival of Architecture for organising it and we're looking forward to getting involved next year!